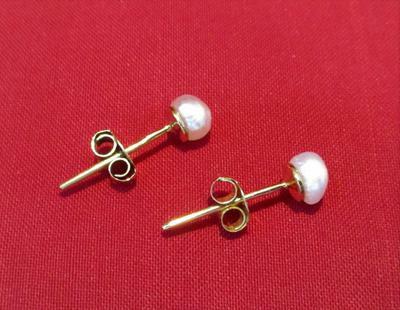 Size: A) 4.92 x 5.10 x 3.58 mm. 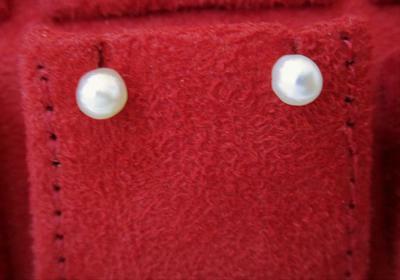 B) 4.92 x 5.22 x 3.46 mm. 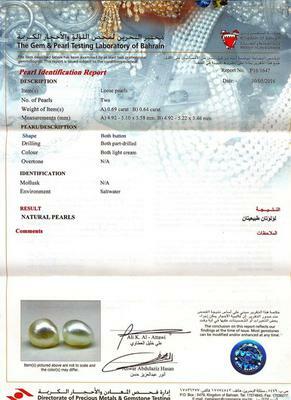 Return to Listed - Persian Gulf Pearls & Jewelry - SOLD.